Vaporizers have come a long way, and if the DaVinci IQ is any indication of things to come, I can’t wait to see what’s next. 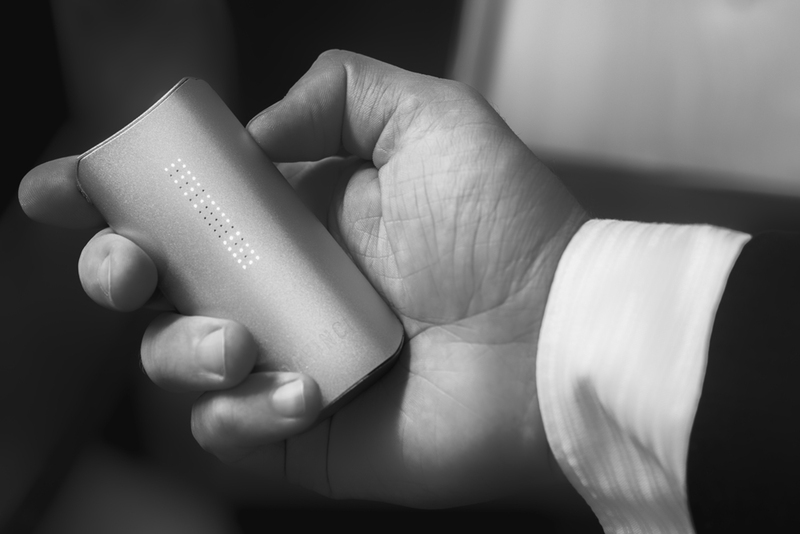 There are plenty of high-end portable vaporizer options on the market, including the Pax 3 and the Firefly 2, but a wide range of choices is something that’s great for the industry as a whole. 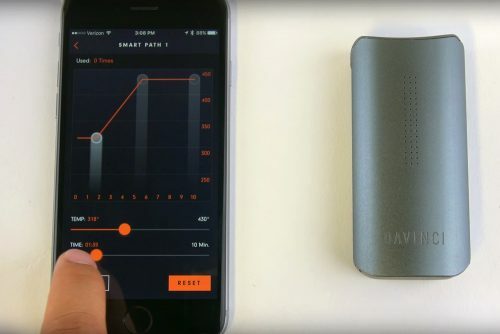 Each model offers its own unique trade-offs, and DaVinci’s IQ brings an embarrassment of riches to vape consumers — riches such as a fully featured app, extremely good build quality and top-notch performance. 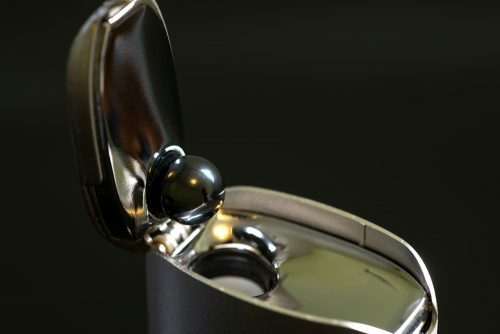 Enthusiasts will undoubtedly look to draw parallels between the DaVinci IQ and other high-end models like the Pax 3 and Firefly 2, and it’s likely no accident that the IQ adopts many design cues from other successful tech gadgets. It borrows its main LED aesthetic from HTC, its anodized aluminum casing is reminiscent of some smartphone models, and its odd microUSB charging port placement feels like a nod to Apple’s Magic Mouse 2. Though it’s not perfect, DaVinci put in a lot of design and engineering effort into their new baby, and it shows. The IQ is one of those gadgets that could very easily double as a status symbol, like an Apple Watch, as its flashy-yet-minimalistic aesthetic fits right in with any tech geek’s arsenal of smart devices. Taking a peek under the hood, the DaVinci IQ uses a glass-lined ceramic heating chamber and an interchangeable 18650 battery — an easy-to-find standard cell. Pop the magnetic top door up and you can swap out mouthpieces to use the vape with accessories, remove the battery or access the vapor path. You’ll probably notice how shiny each part is, and that’s due to one of the smarter parts of this vape: its material selection. Instead of using glass as they have in the past, DaVinci uses the ultra-durable zirconium for its vapor path, as it’s an extremely poor conductor of heat (making it ideal to line a heating chamber with) and ludicrously strong — making for fewer RMA tickets, no doubt. You may notice a strange item sitting in the vapor path, and that’s DaVinci’s “flavor chamber,” which allows you to place more herb or other materials inside the vapor path. It’s an interesting idea, but one I don’t actually know too much about. When you open the bottom to load the herb chamber, you’ll notice it’s shaped a lot like an oil funnel, giving you the ability to easily pack material into the chamber, and shovel away excess. Even though it’s a little touch, it’s features like this that cut down on frustration with your sessions. Once you shut the door, the zirconium pearl will act as a heat reflector: making sure your material vapes evenly and thoroughly. Where this device stands apart from the rest is the app, as it gives you a crazy level of control of your session via bluetooth. You can toggle the device to heat or standby in your pocket, and it’ll vibrate and notify your phone when it’s time to use. In addition to the precise temperature mode, the pre-programmed “smart path” programs ramp up the temperature by 20 F over time from one of four preset starting temps. You can even edit those programs by dragging the points on a graph to change temperature, session time, you name it. You can check out DaVinci’s video on the app for more. Android users might balk at the app asking for location services to be enabled, but that’s a product of Google forcing that permission for all bluetooth LE devices; DaVinci doesn’t actually collect that data. It’s worth pointing out that the app isn’t in its final iteration, and there’s a lot of seriously cool stuff coming down the road. Since we know the boiling points of terpenes and other cannabinoids, the app could very well give you a targeted, strain-specific experience automatically — and without any guesswork — just by pulling data from an API. Should that function come to be, there’s many fascinating possibilities tied to it. Where many compare the nascent weed industry to the wine industry, strain-specific settings would enable connoisseurs in ways that weren’t possible before. With that app functionality, you could conceivably learn a lot more than you already know about the bud available to you, and enjoy it that much more when it’s vaped at the correct temperature. With a strain-specific function in DaVinci’s app, all you’d have to do is punch in the strain and it’d handle the rest. This would be much more exacting than your average wine tasting — and a smartphone is just about the most convenient sommelier one could have. If you’re a gadget geek with a green streak, DaVinci’s IQ is one of a handful of low-risk vapes that is suited for a broad audience. That being said, this model is dry herb only — if your source material includes concentrates, you’ll be happier with the Firefly 2 or Pax 3. Additionally, patients in need of high CBD doses should spring for the IQ as it lets you cook off excess THC over longer periods of time, if you’re sensitive to it. That’s really the biggest downside of this device: For $275, it’s up against some tough competition for your hard-earned money. However, I think many might appreciate the IQ’s ease of use, durability and extreme attention to precision — I certainly do. Cheap materials and shoddy construction can open the door to some really scary health risks from certain products, and this is one of those models that doesn’t throw up any red flags when you take it apart. Though the IQ only has a 10-year warranty, that still marks a good return on your investment, even if the device dies a day after the warranty ends. It’s just gravy that DaVinci also packages in robust cleaning supplies, including a healthy amount of alcohol wipes and an extra pick tool.